New Belgium Brewing Co. likes bikes. In fact, these human-powered, pedal-driven, single-track vehicles are the symbol of its flagship beer — Fat Tire Amber Ale. 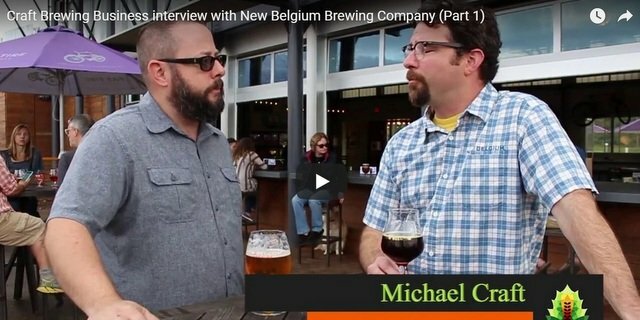 The exceedingly popular craft beer is named in honor of New Belgium’s co-founder Jeff Lebesch’s trip through Europe where he rode his mountain bike with “fat tires” through famous beer villages. After that trip, Lebesch returned to Fort Collins, Colo., with an imagination full of recipes and a handful of ingredients, ready to embark on a whole new journey. Together with his co-founder Kim Jordan (who today is the CEO), they traveled around to let the public sample their homebrews. Since bikes are so important to New Belgium’s culture (the brewery even gives its employees a cruiser bike after their one year anniversary), it only makes sense that New Belgium should produce its own cycles, right? Well, for the first time ever, New Belgium is producing its coveted special edition cruiser bikes in the United States, using Detroit Bikes, a Detroit-based bicycling manufacturer and North America’s largest bicycle producer. Just in time for warmer weather, the bikes are now hitting the streets through New Belgium fundraisers, giveaways and as one-year anniversary gifts to New Belgium co-workers. The partnership has created new manufacturing jobs in Detroit with the company doubling its workforce from 20 to 40 employees, which we think is pretty darn cool. Detroit Bikes will produce about 2,500 cruiser bikes during this first year. So far about 1,000 bikes have been released, with about 40 bikes going out a day. Roger Gill liked this on Facebook. Tim Faas liked this on Facebook. Timothy McClelland liked this on Facebook. Ben Christian liked this on Facebook. Jeanette Pierce liked this on Facebook.